You are here: Virgin Islands News Online » News » Gerard St. C. Farara, will he run or will he not? Gerard St. C. Farara, will he run or will he not? 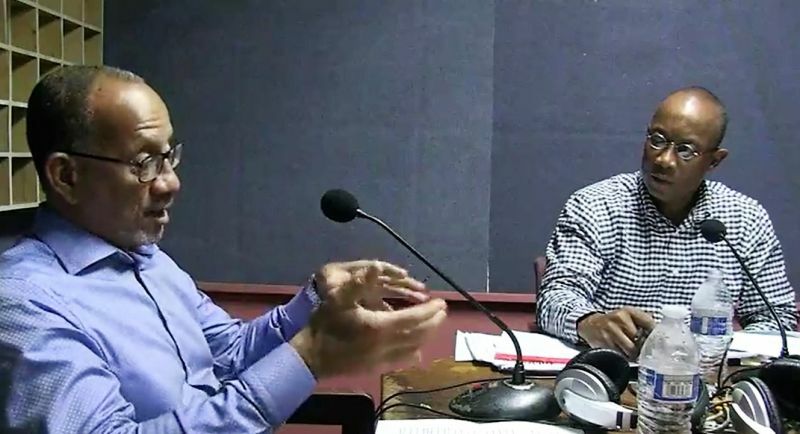 Farara QC, gave his position during a recent guest appearance on Claude O. Skelton-Cline’s radio programme, Honestly Speaking, on August 21, 2018, on ZBVI 780 AM and was again confronted again, with the question of a bid for Public Office. 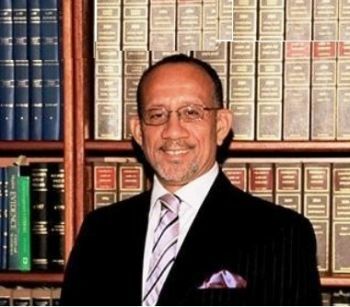 Gerard QC is senior partner and head of dispute resolution at prolific VI Law Firm Collas Crill where he has been practising law for more than 39 years and is the second native Virgin Islander to practice law in the VI. Appointed QC in 1996, Gerard is the most senior lawyer and the leading Queens Counsel at the VI Bar, specialising in civil, insolvency and commercial litigation. The VI Queen’s Counsel has also served as an acting judge of the High Court and Court of Appeal of the Eastern Caribbean Supreme Court and, most recently, as the judge of the Commercial Court in VI. He has also served in various capacities on many Governmental and statutory Boards, most notably as Chairman of the 2003 Constitutional Review Commission and as member of the Constitutional Negotiating Team for the VI and is one of the architects of the Virgin Islands Constitutional Order 2007. Leave those old grabbers alone. Those the people that spend they life building them self now they looking a new hobby and retiremmebt plan. Ooooh I am sooo bored. Dead on arrival!!! He should have done more in he prime for country!!!!!!!! Take your money and stuff it in your %#*%~€~+=]}!!!! Hope he runs with the VIP. I will give you an vote Jerry. It is your turn. That's where we fall short in BVI. He is a qualified individual who has a lot to offer in the development of this territory. Being a people's person is not a qualification. You can waste your vote in the popularity contest. That is on you. Please, come with a sound and sensible reason why a candidate should not be considered an appropriate candidate. Ole time politic is no more. In the development of whattttt country u talking mehson. This man was developing himself now he ole a$s realize the country wasn’t developing with him. Only he little elite friends them. I agree with you. But remember funny man wasnt a people person either when he first came back. Funny man wanted to run VIP but them wouldnt let him so he became a people person to blend in with NDP and now he got ALL of you FOOLED!!!!! I sounds like you don’t like that he got off his Rs, got educated, built a local business that employs many, and participated in development of our most important industry. He has also been a judge when we needed one desperately and is driving the review of the constitutional deficiencies of the UK’s stated aim to enforce on us verified beneficial ownership registers of our companies, something nobody else does using powers meant for more extreme times. I don’t say he is perfect and who knows how good he will be at running a country but we cant just cast people aside because they are middle class and have done ok at business. I agree to that he no for people. Al Queda banana company. The quintessential lawyer. A lot of these so called 'model citizens' received their formal education from the sweat of the humble BVIslanders' brows by way of scholarships. When they feel they have 'arrived' they are no longer down to earth, but stepping like dem carn mash ants. Do they give back to the Territory ...and in a tangible way? Causes one to wonder! My question, therefore, is whether this is all about power or country. Lets' hope it is the latter. Mr. Farara should run. There is a paradigm shift where politics now has to be about territory above self and the focus on international politics and diplomacy and not on the local one only. For far too long the electorate believed that the personal politicking is the way to go where the politician has to be personally involved in micro managing works to come to their district or for individuals, or personally handing out checks. We need to get away from that mind set, my people. Shouldn't it be One District? Hulk Hogan, I second your motion. Mr. Farara QC is a qualified gentleman and I cannot say bad about him. But when you know better and not because you are not an elected official, but lie in bed with them knowing full well what was wrong and did nothing, I cannot support you. Forgive me, cause maybe you tried, but we heard nothing from you then. Not just you, Mr. Farara , a lot more who only coming forth now acting like Saviours, we aint going there. We voting for thirteen capable, honest, caring people. If you think you are one of them, then prove it. No more mistakes. We are disgusted. We are fed up. @ Run for Politics. Spoken like a true politician! Show what he do than f up the constitution and eat lol. BY LAW HE IS A KITTIAN. Jerry’s Mother is a Tortolian from the Evans subtract. Jerry would need a tour guide to find his way around Basseterre or any other village in Kitts. He is a BVIsander. Though there are no qualifications to stand for election, by any measure he is qualified. True, he is an elite but so what. If elected, it will be up to the electorate to hold his feet to fire, keep him grounded, keep him responsible and accountable........etc. It is the electorate fault that politicians wonder off the reservation with impunity. We cannot vote and then go in hibernation; we must stay engaged. Jerry, you got my vote. We need SOME brains to represent us ! Though there are no minimum educational, work experience............etc qualifications to stand for election in the VI, Jerry by any standard is qualified to run. Many may label him an elite but so what. If he runs and wins, it is up to the electorate to hold his feet firmly to the fire, keep him grounded, and keep him responsible and accountable. However, timing is critical in many things. There is a window of opportunity for Jerry to stand for election but he must either fish or cut bait, or sh....t or get off the p...e. The window of opportunity is closing fast. It is time to decide or get the hel” out the way, exit stage left. Continue being a talking head. I am delighted that Mr Farara has decided to enter the political arena because he has a wealth of knowledge of law and international politics. He is a very loving and kind person who is well respected Regionally and Internationally. The level of decency that he displayed will enable to accepted into any society. He is quite contrasting to Hon, Walwyn who will want to have a brawl where ever he goes. Mr. Farara is very diplomatic and his sooth character make him stand out. One only has to go to St. Georges church and see the level of Mr. Farara character. When you want to see a man of charisma, you do not need look any further. When you compare him with ANY of the NDP candidates, they cannot fetch water for him. So all of you who are talking trash about Mr. Farara, you need to shot your mouth and respect a man of character. People like Farara do not encourage the promotion of qualified British Virgin Islanders to head up government departments. Hint hint. This man nor his children don't talk to common folk but now want to represent us? He don't even speak BVI dialect even when he is not in a professional capacity. Can't tell where he from. Just looking another feather in his cap. Go count your millions because you can't get my vote. In order to represent me, you have to be able to understand me and walk a mile in my shoes. To lead the country you must talk in some particular slovenly way? You must not be or sound educated or do ok at business? A vote for Jerry is a vote for NDP, Orlendo, Mark, Lorna,myrun, Fraser,all them fk up tola. Give me a fking break! keep that up forever. They will wind up reaping what they sow with or without this BS masters protection. He is scum for helping evil though. Farara is the sexiest Arab in the BVI! This man not speak to ordinary people. A politician or aspiring politician must be a people person who is humble.